The most successful vacations are those that are carefully planned and researched months ahead of time. In fact, the planning is, for some, half the fun. Disney is so extensive and offers so many choices to fit the personalities of so many types of vacationers that it demands some fore-thought. You’ll discover a wealth of options, some suitable for just about everyone, others ridiculously frivolous for some, but perfect for others. Neglecting to do your homework oftentimes results in disappointment and frustration. The outcome can mean the difference between a smooth trip and an exasperating one. Another route for those of you who don’t like homework is to let a professional—someone who knows the Disney offerings forwards and backwards—do it for you. This takes all of the uncertainty out of your vacation planning, and saves you a tremendous amount of time. Cara has gathered an exclusive team of luxury concierge advisors whose knowledge of Disney Destinations can only be matched by their passion for delivering white-glove service. The in-depth knowledge of a seasoned travel planner like those at Glass Slipper Concierge can benefit you in ways that you never imagined. It’s an investment that will pay huge dividends for you and your family. 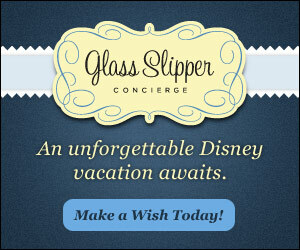 Let Cara Goldsbury's Team of Luxury Concierge Advisors Plan Your Disney Vacation! Click here.